Exercise daily for thirty minutes. Brisk walking, swimming or any other exercise you enjoy doing. Enjoy meals with others and don’t rush meals. This allows for our brains to register that our stomachs are full! Never ‘eat on the go’. Eating in a hurry disables our body’s ability to do this effectively. Vegetables, fruits, whole wheat grains, olive oil, beans, nuts, legumes, seeds, herbs and spices. Eat at least twice weekly. Poultry, eggs, cheese and yoghurt. To be consumed only sparingly (2-3 times a month). Processed foods are never allowed. Foods must be fresh produce. .
Olive oil is the most abundant oil and is used for pan frying and drizzling over pasta and veggies. It can also be used in place of salad dressings (try adding a squeeze of lemon juice for extra flavour). There are all kinds of fish out there, so find what you like and start there. Whether it’s wild salmon or halibut – follow your taste buds to discover your favourites. Try sautéing, baking or grilling with fresh herbs and spices. The Mediterranean’s go easy on the dairy and what is consumed is cultured for easier digestion. Fresh cheeses like Feta and Ricotta are preferred over aged cheeses which are higher in fats. Yoghurt is another dairy option and can be used for sauces, like Tzatziki. 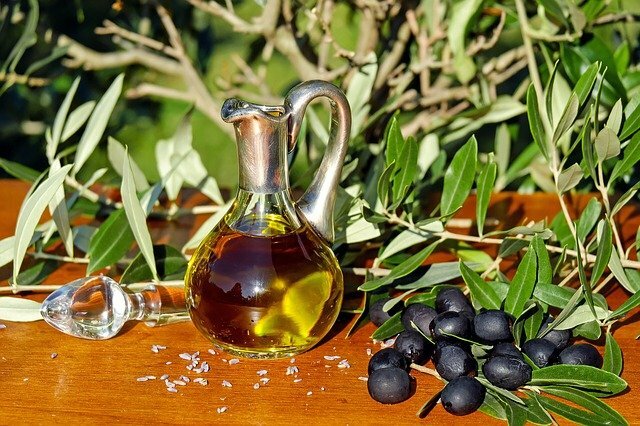 Those in the study who ate an unrestricted-calorie Mediterranean diet with added extra virgin olive oil lost the most weight. As little as five minutes a day of running on a treadmill has been linked to greater longevity. Furthermore running lowers the risk of premature death by 40%. In fact researchers have calculated that running two hours each week will add more than three years to our lives. The benefits of running however, plateau at four hours a week. General cardiovascular exercise is good for your heart, and when it came to other activities, like walking researchers still found that it adds years to your life, but it only lowered the risk of a premature death by 12 percent. The big takeaway is to keep moving! A study found those who had a diet rich in vegetables, nuts, fish and oils were a third less likely to die early, compared with those who ate larger quantities of red meat, such as beef and butter. A study followed 1,200 people with a history of heart attacks, strokes and blocked arteries over seven years. Those who ate mainly along Mediterranean lines were 37% less likely to die during the study than those who were furthest from this dietary pattern.